Please select options for SR Performance Height & Damping Adjustable Coilover Kit (15-19 w/o MagneRide) at the top of this page. Hey, everybody, I'm Justin with americanmuscle.com, and this is gonna be my detailed breakdown and install of the SR Performance adjustable coil-over kit, available for your 2015 and newer Mustang. I do plan on covering a lot of ground about the SR coils in this video. I'm gonna talk about some of the benefits of installing an adjustable coil-over kit like this. We'll break down the total range of adjustment here with the SR kit and then finally, give you a brief little overview of the installation process. And I will say one of the nice things about a coil-over like this is that you don't have to mess with those spring compressors, but there is still work to be done. So I'm gonna go two out of three wrenches on the difficulty meter with some more detail later on.So, the SR Performance coil-over kit should appeal to a wide range of S550 owners out there from the daily drivers to the road course warriors who want one of the most affordable coil-overs in the category, one that will offer both height and damping adjustment, and finally, one that will offer a mono-tube design. Now, these coil-overs will also offer one of the biggest drops in the category, ranging from one to three inches, which is enough to essentially lay the car on the ground. And I do think the adjustability will be the biggie here with the SR Performance coil-overs. Again, 1 to 3 inches of total height adjustment, but in addition to that, you're also getting 16 ways of damping adjustment as well. 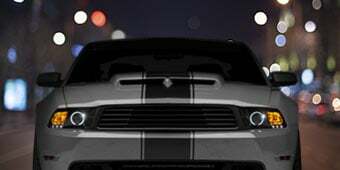 And this will give prospective buyers the ability to firm or soften up the shocks and struts depending on your driving style and even make some tweaks to the shocks and struts if you're doing some drag racing or maybe some road course racing. 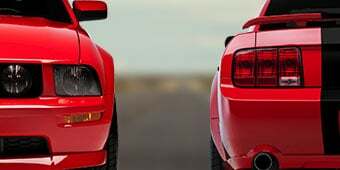 But first, let's break down your top three choices when it comes to lowering your Mustang in a nutshell. First and foremost, you have your springs, right? The most common, the most affordable way to lower your ride, but you're not getting any height adjustment out of those springs. Your second most common option will be a coil-over like this. Yes, you're spending a little bit more money, but you're getting the height adjustability in addition to damping adjustability in most cases. Last but certainly not least, you have your air-ride. Yes, you're getting that height adjustability on the fly. In most cases, you're also seeing some kind of damping adjustment. And in most cases, the air-ride will be your most expensive setup. And while you can still spend big money on a coil-over, that certainly isn't gonna be the case here with the SR Performance options. Again, at the time of this video, these guys are the most affordable on the site at right around that $900 price point, and that does tend to be the SR Performance way. They're gonna offer affordable solutions for common needs in the performance world. Now, full disclosure guys, I've actually had the SR Performance coil-overs installed on my S197 GT for a couple of years now, and honestly, I really have no complaints. I'm really happy with how they ride. The handling performance is great in addition to the height and damping adjustment. Now, granted I know it's not the same generation, but the same idea applies. It's really the same coil-over just made to fit different generations. And overall, again, I really couldn't be happier given the fact that these are a budget-friendly coil-over. Now, let's get a little further into the coil-overs themselves here. We talked about that height adjustment, again, one to three inches, the biggest drop in the category. You're also getting that 16-way adjustability when it comes to damping, which I really enjoy on a budget-coil-over like this, because it does allow you to kinda tweak these things depending on your driving style or your situation. For instance, if you're a drag guy, you can use these things, play with the damping a little bit, help you leave the line a little bit better. Or if you're just a casual owner, you can kinda set 'em up to however you prefer. Now, for me, for instance, again, I have these things. I prefer 'em a little bit more on the firm side. That's just me. I think the ride's a little sportier. The car feels a little flatter, a little bit more responsive overall, but that's totally your call. And, again, the fact that you are getting the 16-way adjustment on such an affordable coil-over is a nice thing to point out.Also worth pointing out, the SR Performance coils do feature what is called a mono-tube design in place of a twin-tube design, and we can talk about the differences in design until we're blue in the face, but you and I don't have time for that, so let's break it down in a nutshell. Now, that mono-tube design is typically a little bit more money to produce, and it is something you're gonna see typically more in competition-style racing because of a couple of different reasons. Now, the mono-tube will feature more capacity overall in addition to a larger piston inside of that mono-tube, which typically will react a little faster, deliver a more consistent performance, and is going to improve heat dissipation. You're not gonna have to worry about aeration with these things or anything like that. Now, typically a mono-tube-shock will ride a little firmer than a twin-tube, so that is something to be mindful of if these things are going on your daily. But with all that said, let's break down what you are actually receiving with the SR Performance coil-over kit, and as you can see, I pretty much have everything laid out on the table here in front of me. You are receiving those four mono-tube dampers, the two struts, the two shocks. The two strut assemblies are already fully assembled for you, so, again, these guys are ready to rock and roll right out of the box. The two rear shocks, again, go in the factory replacement or location, and the rear springs sit on the adjustable perches here. And, again, these guys go where your factory rear spring would go. Now, the strut assembly here I'll demonstrate for you guys. This is where you're gonna do your damping adjustment, this little knob, soften or firm up the ride quality here. And the coil-overs do feature a built-in caster camber plate, giving you some adjustment there which is a nice thing to point out. SR is also tossing in some burly adjustable N-links for the front sway bar, and last but not least, you are receiving your collar wrenches here. And these guys will, of course, be used to adjust the height of your Mustang once everything is installed. Well, let's switch gears entirely and get into the installation process. Just give you a brief little overview here so you kinda have a better idea of what to expect when it does come time to start wrenching. And as I pointed out at the top of this video, guys, two out of three wrenches on the difficulty meter is what you can expect here, maybe a few hours to a half a day in the garage or shop to get these puppies in place, depending on your level of expertise. Again, this is gonna be a little bit easier than your traditional spring install in my opinion because, as you can see, these guys are completely ready to go right out of the box. So, for the fronts you're essentially just removing the entire stock strut assembly and replacing the SR in its place. You are gonna use, of course, those adjustable N-links that we talked about to secure the coil-over to your front sway bar there. The rears are a little bit more involved I think because you do have to kinda loosen up those rear subframe bolts, let that actual subframe hang a little bit more so you can kind of squeeze the new spring and perch in place. Again, just make sure you have the correct tools for the job in this regard. Socket set really is gonna be a biggie here. A lift will make life a whole lot easier, trust me, because doing the rear subframe bolts on your back on jack stands just really isn't all that fun but can be done if you need to.Guys, again, this one really isn't all that difficult, after everything is installed, you will have to adjust the height slightly. Just get everything evened out, and, of course, after you lower the Mustang, do yourself a favor. Take it to an alignment shop just to have everything checked out, and you should be good to go. 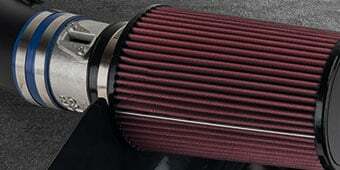 Wrapping things up here with the SR Performance coil-overs, I think these are a great value, and here's why. You're getting a 1 to 3 inches of height adjustment, 16-way damping adjustment and that pretty desirable mono-tube design, all for south of 1,000 bucks. Listen, are they gonna ride as nice as a $2,500 set of KW Variants? Well, probably not, but they are gonna be pretty solid overall. Again, give you guys some adjustment, give you some stuff to play with, and they're gonna ride pretty damn good in the process. 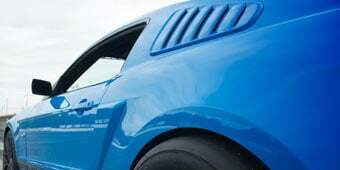 So, that is my review here of the SR Performance coil-overs for your 2015 and newer Mustang, which you can grab right here at americanmuscle.com. Better Handling and Looks. 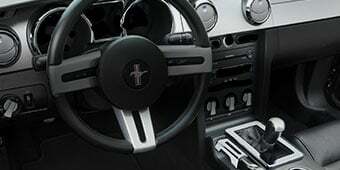 SR Performance's Coil Over Kit is the perfect investment in better handling and a better stance for your 2015-2019 Mustang. Featuring upgraded, heavy-duty shocks and coils, this kit helps lock in your pony's cornering capabilities while affording you a lowered, more aggressive look. Adjustable Ride Height. Not only will SR Performance Coil Overs improve the handling of your 2015-2019 Mustang, but they will also improve its overall appearance. This SR Performance Coil Over Kit is ride height adjustable allowing you to lower your Mustang anywhere from 1 inch to 3 inch (front and rear) to eliminate that nasty tire to fender gap for a more aggressive street stance. 32 Way Adjustable Damping. The SR Performance Coil Over Kits use 32-way adjustable twin tube struts that have been specially tuned to match the included spring rates. 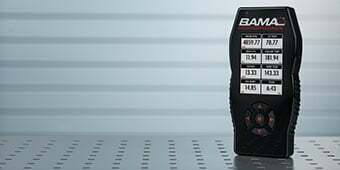 The 32 clicks of damping adjustment allow the driver to dial in their preferred handling feel or desired ride quality from soft to firm to match their driving needs. Proper Alignment. 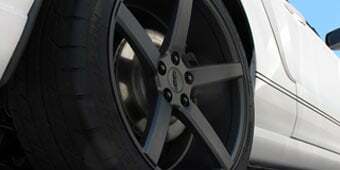 Lowering your Mustang can effect its alignment and suspension geometry causing uneven tire wear and poor handling. That is why SR Performance had the foresight to include camber adjustable strut top hats with their Coil Over Kit. These adjustable strut top hats will give you the adjustability you need to get your Mustang back into spec. Bolt-on Design. 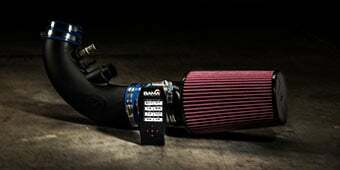 SR Performance designed their Mustang Coil-Over Kit to be an easy, bolt-on conversion. There is absolutely no cutting, welding or modifications required for a simple straight forward installation. Application. This SR Performance Coil Over Kit is designed for use on all 2015-2019 Mustang models that are not equipped with the MagneRide Suspension. Do these require caster/camber plates? This SR Performance Height & Damping Adjustable Coil Over Kit does not require the use of caster camber plates in order to install. These can mount to your factory strut tower with no modification. These SR Performance Height & Damping Adjustable Coil Over Kit have the plates incorporated into the top hat, and they are indeed included. Do you need to transfer anything over from the stock suspension? This coil over kit is replacing the stock shocks and struts, along with the springs. You will not be using any of the original suspension. I lost one of my adjustable wrenches to adjust the height in rear of vehicle. Do I NEED 2 in order to adjust or can I use just 1? and if I need 2 how can I order another one? Will this work on a 2018 mustang gt convertible? Also I have the magneride option, will there be issues removing the magneride? Unfortunately this kit will not work with vehicles equipped with the Magneride. In regards to removing it, we would recommend reaching out to Ford directly. We would not recommend swapping the springs from this kit, as the coilovers are designed to work as a complete unit. The SR Performance Height & Damping Adjustable Coilover Kit is intended to utilize the stock strut mounts. Yes, these offer adjustments anywhere between 1 and 3". You would be able to adjust the front to sit lower than the rear. No, these coilovers are going to provide 1-3" of drop depending on their setting. They will not stay stock height. The SR Performance Height & Damping Adjustable Coil Over Kit will use the stock size 10mmx1.5 mounts. The SR Performance Height & Damping Adjustable Coil Over Kit does not come pre-set as the collars are not generally locked. The caster and camber adjustment will depend on what you are looking for out of your vehicle. As a general rule of thumb, .7 degrees of camber will result in 1 inch of ride height change (Lowering 1 inch will make camber decrease - Raising 1 inch will make camber increase). The SR Performance Height and Damping Adjustable Coil Over Kit will provide a minor increase in tire clearance over the stock spring and strut setup. The rear shocks in this kit for the height are adjusted using the upper spring perch that comes with the kit and twisting to adjust overall height. If adjusting the rebound or compression of rear shocks, this would be done be turning the adjustment knob on the rear shocks. The SR Performance Height & Damping Adjustable Coil Over Kit features a front spring rate of 448 lb/in and a rear spring rate of 470 lb/in. Purchased my Suspension online on Saturday went out for delivery on Monday and I received Wed. I installed myself on Saturday took about 4 hours taking my time and everything went smooth. Only wish the suspension had some sort of recommendations and guides for adjusting ride heights. Also I was a little upset for 900 bucks I didn't even get a sticker for my tool box. Oh well so far so good car rides great. I expected the product quality to be equal to OEM suspension. There where hardware missing and fitment was poor; had to pull the shocks top braces into position. Yes you get what you pay for, but it is not difficult to set up the kit close to factory specs so it can be installed and than adjusted from there or at the least include detailed instructions on how to set pre-loads. This product is advertised as a inexpensive DIY alternative, but I feel that it would be better to spend the extra $1000 to buy a better product and have it professionally installed. The SR Coilover set is not a bad deal. It’s budget friendly and performs well depending how you set it up. I set my coil overs to moderate (turn notch 6) for street with a 1” drop. It handles really well on the damaged roads we have in Northern California. Track days I set my suspension advanced moderate (turn notch 8) for increased handling with no roll. Cannot go wrong with this set. I would recommend this set especially for the price. Approximate installation time 4 hours depending on your wrenching skills. Arrived on time delivered by UPS and packaged very well. 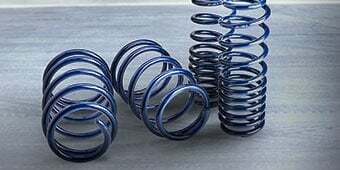 The spring rate is too light - heavier springs. Clearance concerns, so I bought 8 mm spacers up front. Was no rubbing, just a tad to close to make me feel well up front. Once I change the wheels - I will change the backspace by 8mm/.25 in to meet the change, adjustable links, they need to make one side left and the other right turn. Will be smarter to adjust and get the tension required to keep that annoying steel on steel noise when u soften the suspension. Install was fair - not difficult, but took several wheels on/wheels off to get things right. Turns aren't equal. U get what you pay for, a more expensive system would be better, but if they change small things, this system would ride is not harsh at all. Actually, way better than stock hated the stock ride. I only dropped it an inch, but all is hard. I love a hard ride. I own a GT with Performance pack. Parts always fall off, rear adjustability/damping is horrible I’m 20 Years old and it hurts when you hit any bump in the road. If you run over a pebble you will feel it in your back with these coils. Front coils are AMAZING but the rears are a terrible nightmare. The coilovers are amazing. The only problem was getting the rear springs into place. Everything was smooth besides that and the only thing that was missing was the set-screws for the rear. The ride height is great. The direction were vague and missing some key things. Like pre loading the springs, setting the shock travel and the nuts for the rear shocks were missing from the kit. These were relatively easy to install and they perform well but rear sub frame alignment kits should either be included or mentioned with any coil over install for this model Mustang. Pretty easy to install overall. The camber adjustment is nice, however you'll have to have your shock tower modified in order to actually make the camber adjustments. My rears ride incredibly stiff and I'm not sure the rears have any damping adjustments. The box was super beat up and was missing the lock collar wrenches. 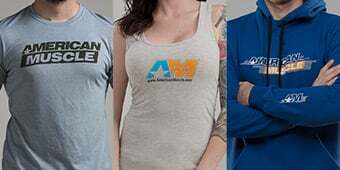 American Muscle shipped me out a set of wrenches right away. The rear shocks did not have the threaded inserts which required sourcing of 4 lock nuts. Took me and a friend about 4 hours to install on jack stands. Once installed I took my favorite on ramp to the local highway. As I hugged the corner harder and with virtually no body roll, I laughed maniacally for the remainder of the ramp. It was a beautiful experience. I highly recommend this product. I have the 4 strut/shock settings at the firmest setting. The ride is noticably firmer but the control, to me, is worth it. Bad install, not enough hardware to perform install and hardware falls off car. If your looking for the most affordable coil overs I would say these would be the perfect touch to your ride. Great quality on the springs and the struts. Easy to install it even came with great detailed instructions.